It’s funny how things happen. 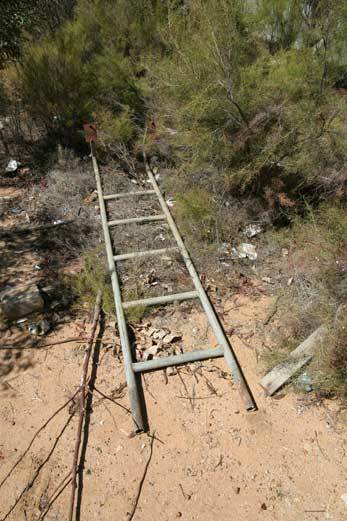 We were on our Christmas drive to Kalgoorlie-Boulder when the car broke down – two kilometres from Burracoppin. The RAC rep from Merredin was soon on the scene and had us going in no time at all. He had more than mechanical tricks. 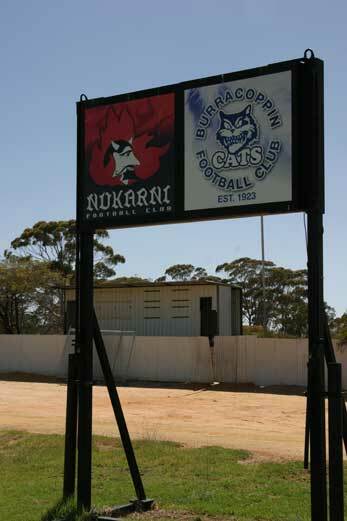 Turns out he was the coach of the Nukarni Football Club, home ground Merredin, and he had two bits of disturbing news. 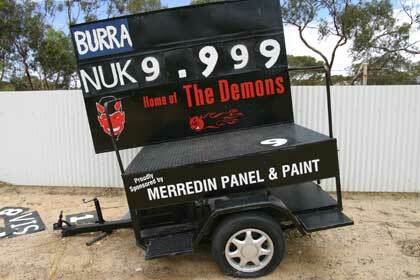 The old mobile scoreboard was popular with all sorts of organisations according to our informant. 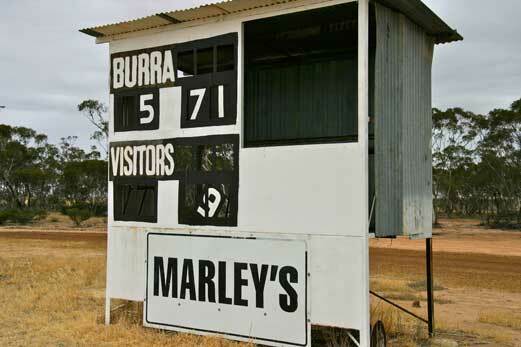 So now two clubs use Merredin as their home ground but there isn’t a team called Merredin. 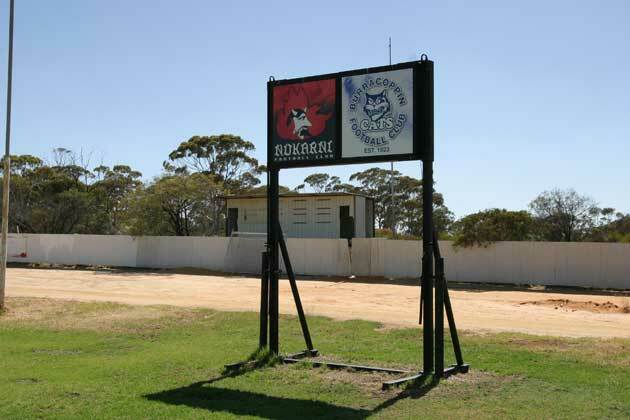 We visited Merredin Oval on our way back to Perth and made an incredible archeological discovery. As we photographed the new board we noticed a dilapidated scoreboard in the background. Closer inspection revealed some interesting bits and pieces but sadly no numbers.